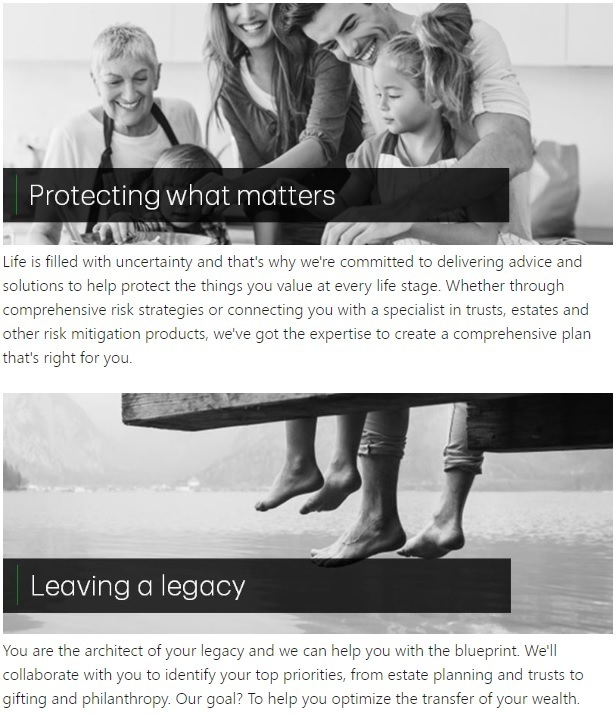 In a complex and fast paced world we take the time to listen to what’s important to you, developing an integrated wealth plan that’s easy to understand and navigates every stage of your life. 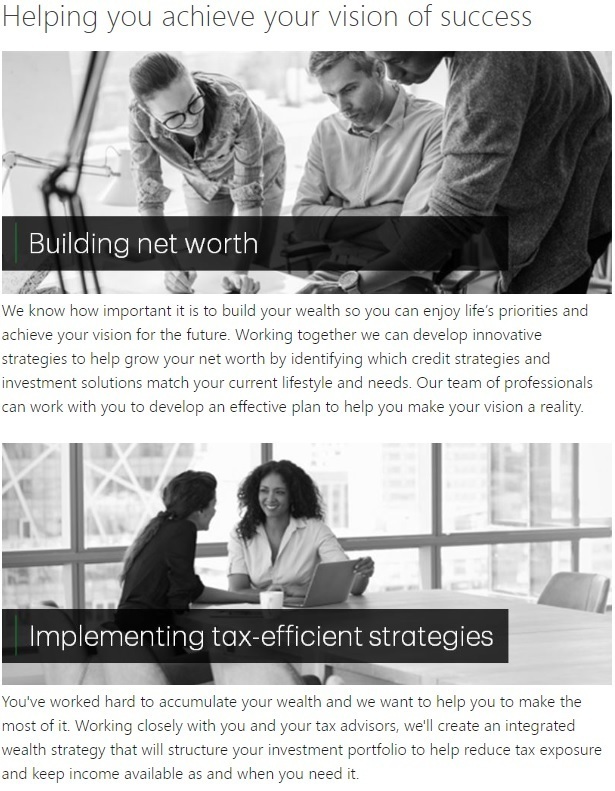 We understand that wealth can be accumulated in a variety ways and your unique circumstance requires a customized approach. We can help you avoid making emotional decisions by aiming to instill confidence that you have planned and executed well. Through MacMillan Keeping Wealth Management you will have access to a team of experienced trusted professionals within TD Bank Group consisting of portfolio managers, private and commercial bankers, business succession specialists, estate and trust planners, philanthropic and charitable services as well as outside professionals, such as lawyers and accountants, we will build a team specific to your needs. The MacMillan Keeping Wealth Management team is committed to the highest professional standards. We are Portfolio Managers who hold the following designations: Fellows of the Canadian Securities Institute (FCSI®) and Certified International Wealth Managers (CIWM) with half a century of combined experience. We pride ourselves on a personalized attentive approach building long term relationships with our clients from one generation to the next. To learn more about the services of MacMillan Keeping Wealth Management please contact us today. In order to provide a high level service commitment we focus on clients with more than $1,000,000 of investment assets. 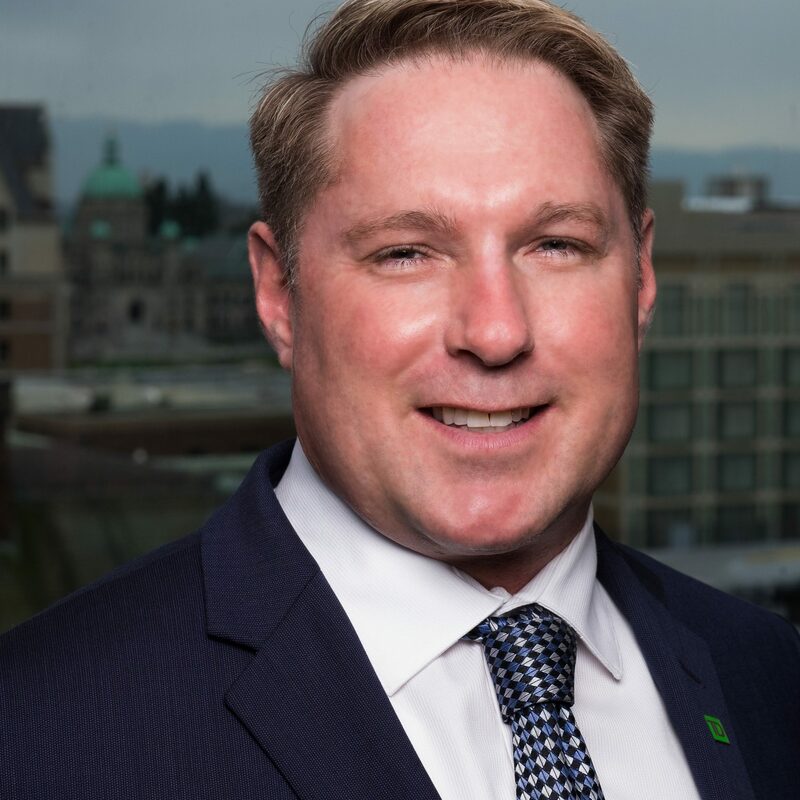 MacMillan Keeping Wealth Management is a part of TD Wealth Private Investment Advice, a division of TD Waterhouse Canada Inc. which is a subsidiary of The Toronto-Dominion Bank. Rod’s specialization is those clients nearing and in retirement with extensive experience working with widows, widowers and those planning a retirement for one. These clients often require thoughtful retirement and estate planning tailored to their specific needs and tax circumstances. As a Portfolio Manager, Rod offers his clients discretionary management of conservative growth and income portfolios. For this comprehensive wealth management, Rod's minimum portfolio size is $1,000,000 per client household. Rod graduated, with distinction, from the University of Victoria with a Bachelor of Commerce degree in 1996. 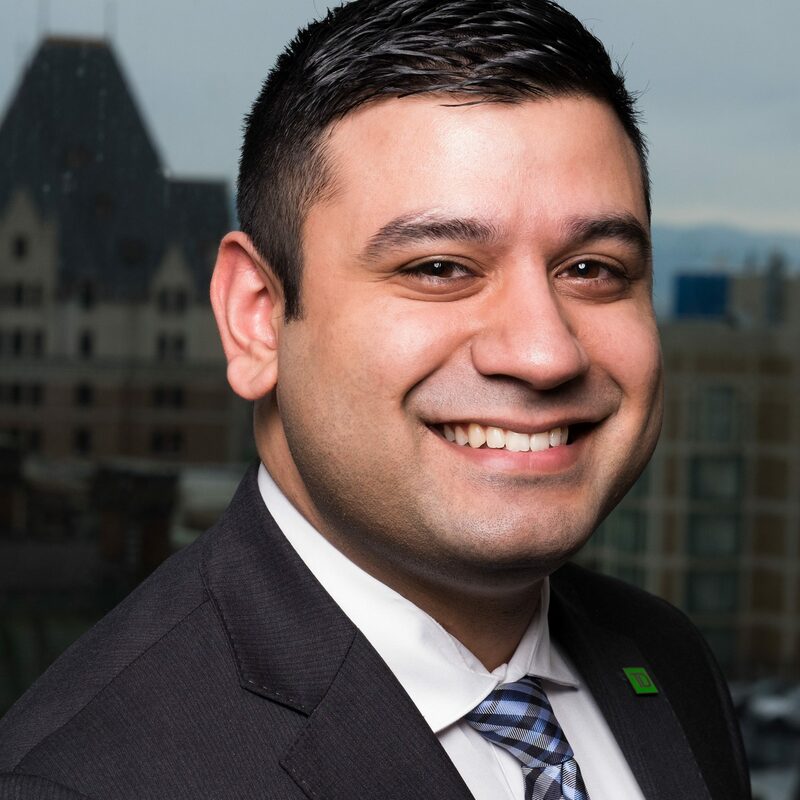 Soon after graduation, he began his financial services career at a leading Canadian chartered bank, and became an Investment Advisor in 2000. He holds two prestigious designations available to Canadian Investment Advisors. They are the Fellow of the Canadian Securities Institute (FCSI) and Certified International Wealth Manager (CIWM). The FCSI designation recognizes individuals who bring a rare combination of education, ethical training and experience to their firm and their clients’ businesses. The Certified International Wealth Manager (CIWM) is comprehensive program to serve the unique needs of affluent Canadians through; Advanced Investment Strategies, Advanced Retirement Management Strategies, and Advanced Estate Planning and Trust Strategies. 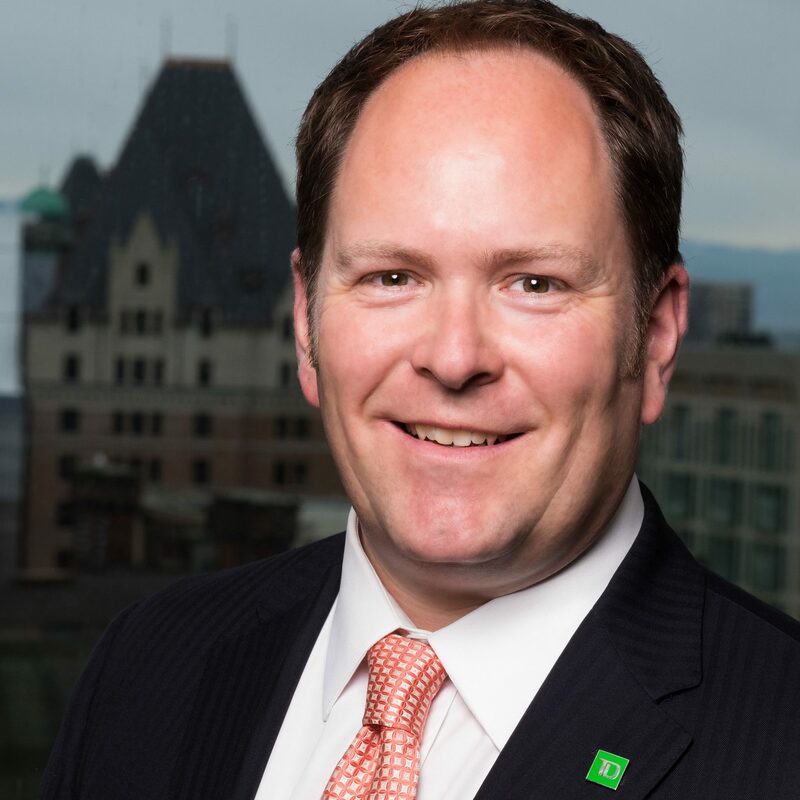 Rod works in concert with a team of specialists within TD Bank Group who specialize in wealth protection and insurance solutions, estate planning and trust services and charitable giving strategies. He also works seamlessly with his client's other professionals outside of TD. When not in the office, Rod enjoys regular exercise, most often competing in kettlebell lifting and taking part in various classes at his gym. As a passionate motorcyclist, and when the time permits it, he enjoys touring the west coast of Canada and the U.S.A. Perhaps most of all, he relishes the company of his old dachshund, Hugo.